the exact date but it has been around since the late 19 Century. It has changed ownership a few times in its early stages of development but eventually was owned by J. B.
Lankershim. Now you know where Lankershim Blvd got its name. 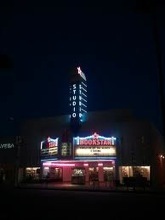 It used to be a farming region but in 1927, the very first studio was built and it was renamed Studio City. boarders with the Hollywood Hills, Sherman Oaks, Valley Village, North Hollywood, Toluca Lake and Universal City. Some of the major paths taken to get to Studio City is either taking the 101 Freeway OR you can cross over thru the mountains using Coldwater Canyon and Laurel Canyon. Laurel Canyon is the better chose cause it really puts you right in the center of Studio City. You can see excellent views of Studio City all throughout Mulholland Drive Drive. What a view, too! Especially with some of the homes in Studio City that are situated near Mulholland Drive. The views really are spectacular. Some of its most famous Landmarks one, the house that was used for the exterior shots for the hit TV show The Brady Bunch. It’s located at 1164 Morning Glory Circle in Studio City. I love seeing it person since I was a huge fan of the Brady Bunch. There is also the very house used in the hit TV show Malcolm in the Middle. It’s located at 12334 Cantura St. Also the house that was used in the very classic and very beloved Gidget starring the darling Annette Funicello . Its located at Hortense and Beeman. And also the one from the TV show Scrubs. Then there is the Studio City Movie Theater. 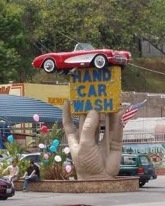 This place was such a pivotal landmark in Studio City. It really completed Studio City. With it, you could go out on a Saturday night and go shopping, have dinner and then go see a movie and then go out for drinks later. It really made a night out on the town all within Studio City possible. It was later sold to BookStar and turned into a Book Store. Studio City is part of the Los Angeles Unified School District. So when it comes to public school options you have the following. The best and most highest sought after elementary schools is the Carpenter Avenue Elementary School. It is very famous and one of the best and safest schools out there in the entire LAUSD. It is also a Charter School. It was established in 1924 so it has a long history of excellence. You can’t find a better elementary school anywhere else in Los Angeles in my opinion. Other public school options are Colfax Charter Elementary School, Rio Vista Elementary School, Walter Reed Middle School and North Hollywood High. Then there are private school. Your private school options are Cambell Hall . They are under construction and doubling their campus size. There is a huge construction project going on right now at Cambell Hall. Bigger, state of the art class room, Indoor sport facilities making it a premiere private high school in all of Los Angeles county. Other private school options are Oakwood Elementary School, Harvard Westlake School and Bridges Academy. Oakwood is a very interesting school. It a magnet school cause it is very artistic driven. And Harvard Westlake is a very prestigious school as well.